The amateur sashimi artist would watch YouTube videos and follow professional chefs online to learn more and more difficult techniques, and often challenged himself to reproduce some of their most impressive projects. He started posting his best works on Instagram and people started taking notice. His page now has nearly 40,000 followers, and photos of his sashimi masterpieces are doing the rounds on social media and popular art-related sites like Bored Panda. mikyoui00’s skills improved the more time he dedicated to creating sashimi artworks, and before he knew it, the fun activity he had come up with to catch his son’s attention became his biggest passion. He began experimenting with different kinds of fish, quickly learning which types worked best for different techniques, and paying as much attention to detail as possible. The complexity of his artworks increased with every new project, to the point where his sashimi looked way too good to eat. 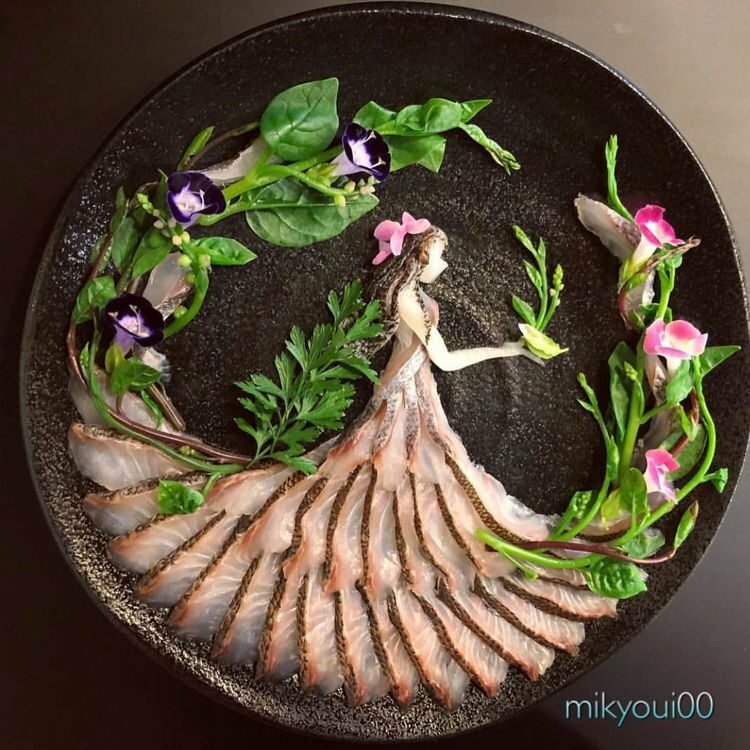 Many of the people who see mikyoui00’s amazing sashimi plating assume that he is a famous chef with years of experience under his belt, when really he is just an amateur cook who accidentally got into edible art as a way of bonding with his son, less than two years ago. Somehow, that just makes his art that much more impressive.